Bands, DJs, Dancers and Entertainers of all Styles. 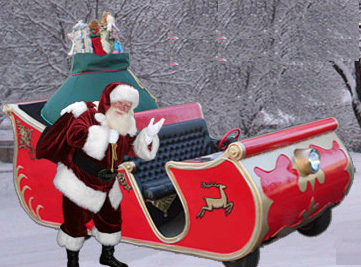 Take a ride in Santa's motorized sleigh. 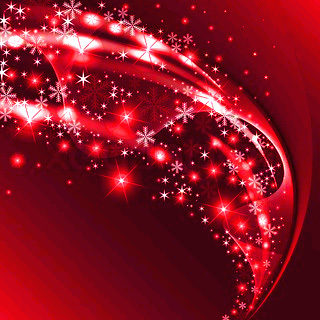 This high-tech Sleigh delivers gifts to good little girls and boys with unforgettable sights and sounds. LED cabling surrounds the toy bag and 2,500 watts of Pole pounding power driving a wall of sub-woofers and horn tweeters. 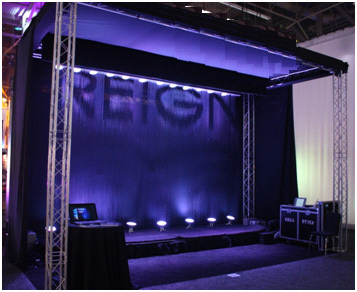 Branded water curtains consist of millions of tiny water droplets cascading to the ground forming an image in mid-air – a name, a logo, a message, or even a picture. This one-of-a-kind machine is a new marketing tool that pairs nicely with ice carving sculptures for any event. 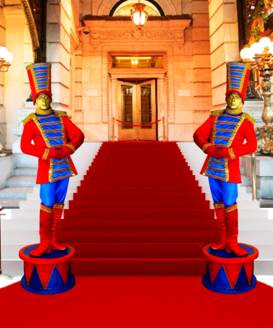 Toy soldiers bring royalty and richness to your event. Include them as guardians of your red carpet or strolling as a playful atmosphere act. 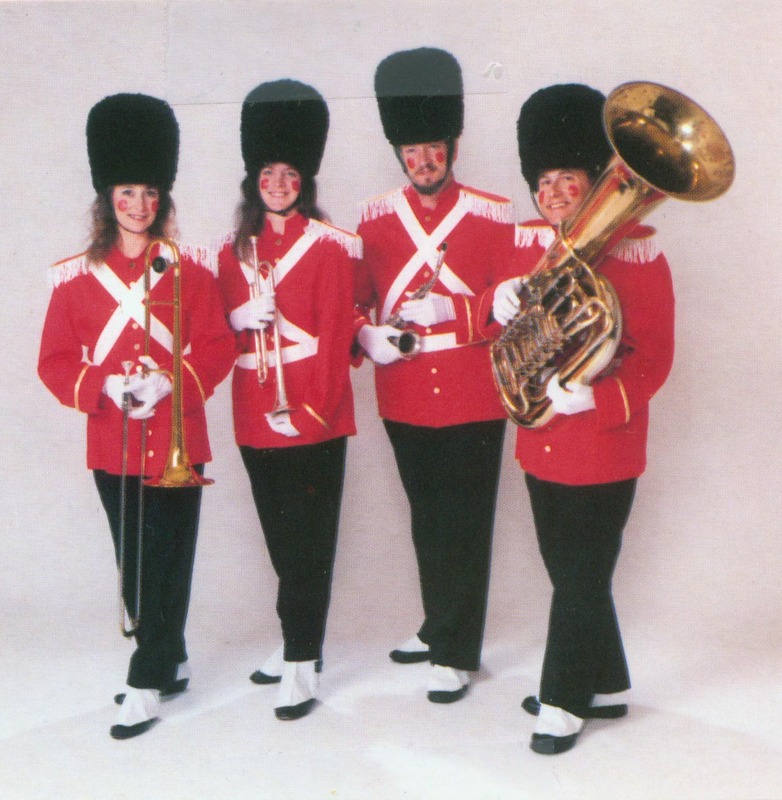 Our brass quartet or trio of toy soldiers will fill the air with your favorite songs of the season. 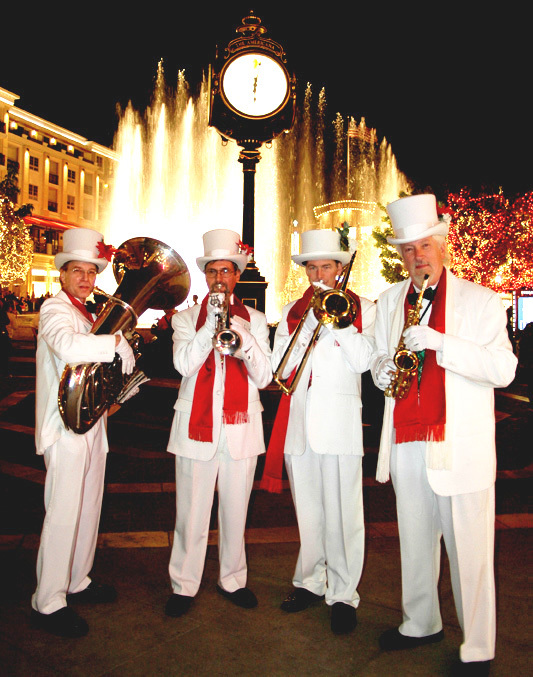 Invite our White Tuxedo Band, Dickens Carolers (available with handbells), and other musical groups to play the best of the season. The White Tuxedo Band is available as a brass quartet or trio. 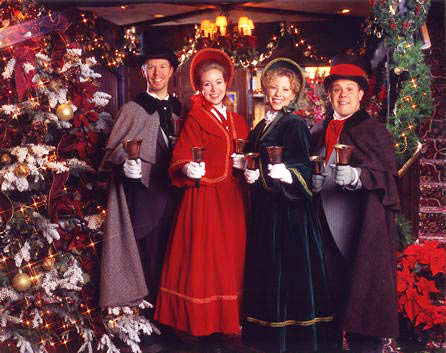 Dickens costumes also available.